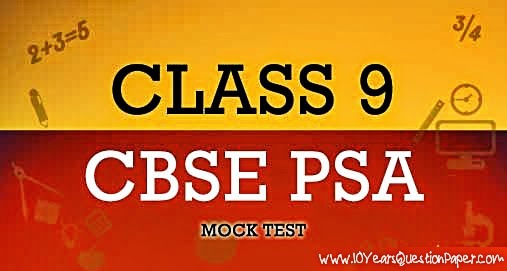 The CBSE has introduced the Problem Solving Assessment (PSA) for the students of class 09. The test will assess creative-thinking, decision-making, critical thinking, problem-solving and communication skills among children.The test would assess student’s ability to process, interpret and use information rather than assessing student’s prior subject matter knowledge. The book “Crack CBSE-PSA Class 09 (Key Concepts + 10 Practice Papers)” is a perfect guide that will help the students score a good score in the test. The book provides deep insight into the critical elements of the test – Qualitative Reasoning, Quantitative Reasoning and Language Conventions. The study material provides theoretical inputs along with practice exercises. The 10 Practice Papers will help the students in developing the right temperament to crack this exam. The Practice Papers follow the exact pattern as suggested by CBSE (90 minutes for 60 questions). The detailed solutions to the tests are provided at the end of the book. The marks scored in the CBSE-PSA Class 11 will be reflected in the form of a certificate to be issued by CBSE. CBSE PSA previous year question papers. Download CBSE 9th board question paper for the year 2014.CBSE Class 9 PSA Question Paper 2014.These Papers are issued by CBSE, New Delhi.Previous year question paper of CBSE class9 PSA SET-1 is available in the attached sheet with answer. CBSE PSA previous year question papers. Download CBSE 9th board question paper for the year 2014.CBSE Class 9 PSA Question Paper 2014.These Papers are issued by CBSE, New Delhi.Previous year question paper of CBSE class9 PSA SET-2 is available in the attached sheet with answer. CBSE PSA previous year question papers. Download CBSE 9th board question paper for the year 2014.CBSE Class 9 PSA Question Paper 2014.These Papers are issued by CBSE, New Delhi.Previous year question paper of CBSE class9 PSA SET-3 is available in the attached sheet with answer. CBSE PSA previous year question papers. Download CBSE 9th board question paper for the year 2014.CBSE Class 9 PSA Question Paper 2014.These Papers are issued by CBSE, New Delhi.Previous year question paper of CBSE class9 PSA SET-4 is available in the attached sheet with answer.